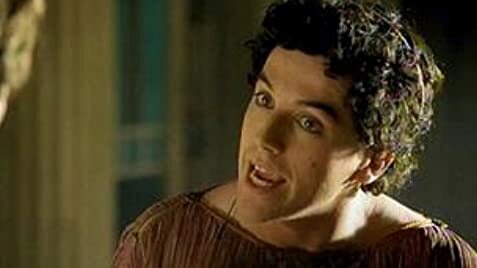 Constantine joins the Roman army to find his missing childhood friend. Once alerted to his friend's whereabouts, he prepares for an all out war between the East and the West. Agrippa: This spring will quench the thirst of 50,000 or more Romans everyday and water the fields streching for miles around Rome. Maecenas: No, thanks. I prefer to have something a little more lively. Octavius: [Toasts] To furture harvests. Agrippa: Now no one can bribe Rome again by cutting off it's food supply. Maecenas: It's all very lovely, Agrippa. At least we'll be able to get some lovely fountains out of it. Augustus, maybe not completely historical but it never claimed to be. Yes, so many historians out there complaining the movie was not historical correct, but it never claimed to be. The movie was made for entertainment purposes and showed great battle scenes as like those in the days of yesteryear. 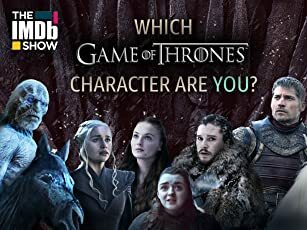 It didn't claim to be a docudrama, for those who want the correct history i'm sure there's plenty of material out there for those. To me as long as it was close to the actual events of it's time, which it was, that's good enough for me. So many other movies like the latest version of "The Alamo" had a lot of correct history but also showed things that no one could really verify like Davey Crockett yelling at Santa Anna commenting how short he was and before they murdered him he warned them he was a screamer.Fact or Hollywood? 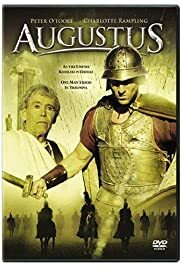 Just take Augustus for what it is and enjoy this epic with great battle scenes and done in the same manner as past greats like "Ben Hur" and "Cleopatra". I think you'll enjoy it much better this way. You can always go to the library or get the actual facts later. Take it for what it is, an entertaining movie.